Banana plants: why does one leave grow over the other? 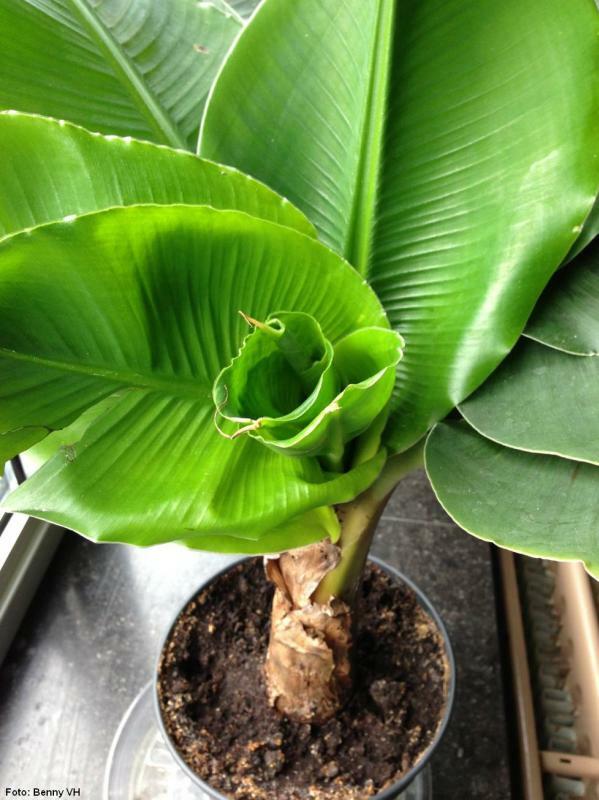 Normally, a banana plant only develops one new leaf when the previous one is almost completely rolled out. However, this growth is never entirely regular. Sometimes it takes a bit longer for a new leaf to appear, sometimes it goes very fast. Occasionally even to the extent that the previous leaf has not even been rolled out when a subsequent leaf emerges. 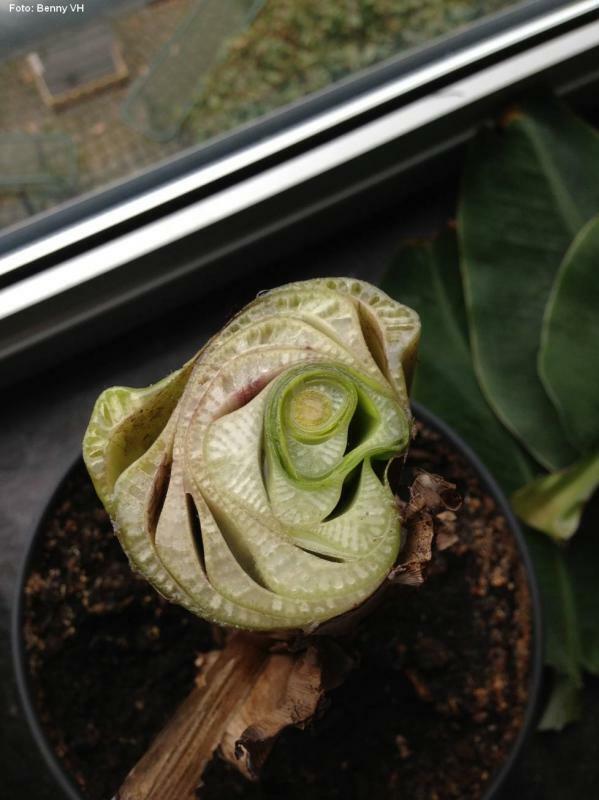 The plant even seems to be stuck in this process. Some enthusiasts claim that this is caused by a lack of nutrition. But whether this is entirely correct seems questionable. The problem does not occur on every specimen, even though they have received exactly the same treatment. It is notable, however, that the leaves that follow each other quickly are usually also slightly smaller. It therefore seems more likely that it has something to do with increasing light intensity, which causes the plant to undergo a small growth spurt. Others claim that this phenomenon occurs just before the development of the flower. In any case, it can do no harm. In most cases the banana plant just grows beyond and the next leaves are normal again. Especially when flowering is imminent, the best is to leave the plant be. In a few cases, clogging of the trunk is the cause and then the growth really gets stuck. Leaves come up deformed or split their way through the side of the trunk. In this case, the stem must be cut just below the entire leaf crown. Of course you lose all the leaves, but after that new leaves are formed without any problems. Due to the high growth rate, this intervention is quickly no longer visible.